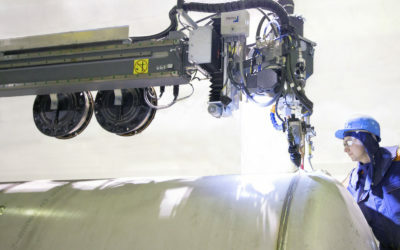 Pemamek has delivered an advanced robotized branch pipe submerged arc welding station to Pedrozavodmash in Russia. The welding station is for branch welding of pressured vessel from the inside of the tank. 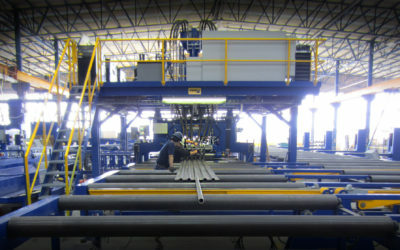 The PEMA Robotized Branch Pipe Submerged Arc Welding Station is a unique welding station for inside welding of branches of pressure vessels. 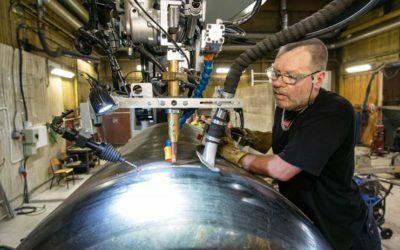 The welding groove is of a non-radial saddle shape, therefore welding is not possible to perform by traditional mechanization methods – there was a specific need for a more flexible solution and robotized welding station. 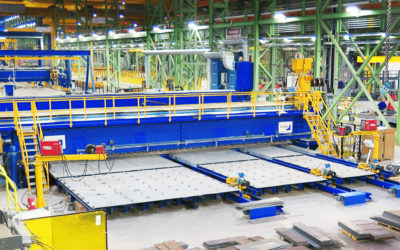 The robotized welding station has a special gear drive cradle rollerbeds by which the moving and shifting of a work piece is extremely accurate for welding over 100 welding runs (layers). 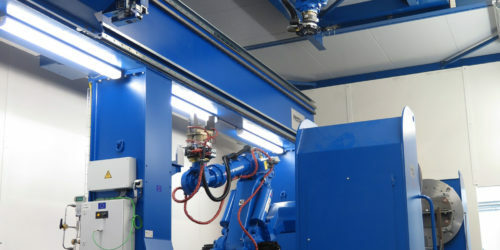 The actual programming of the robot is made by parametrized PEMA WeldControl 300 system. The welding groove is machined and fitted in place before adjusting on the welding station. In welding of this particular working piece, nominal parameters are known, but due to the extra thick material of the pressure vessel, the welding groove can vary a lot in the limits of tolerances. Pedrozavodmash has achieved tremendously good results with the welding station. We completed the welding of the work piece with the total of 130 welding runs. The scanning track is first created parametrically in PEMA WeldControl 300, then the groove volume is measured with a laser detector. 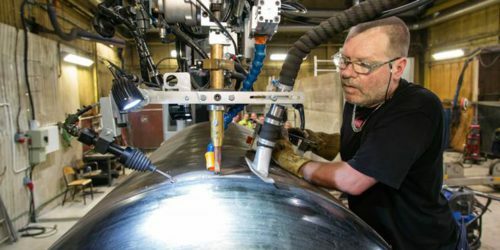 Based on the measurement results PEMA WeldControl 300 system creates a map of welding runs that in turn creates robot welding tracks. Thanks to the laser measurement the groove is filled evenly and the programs do not need to be modified due to the volume changes. 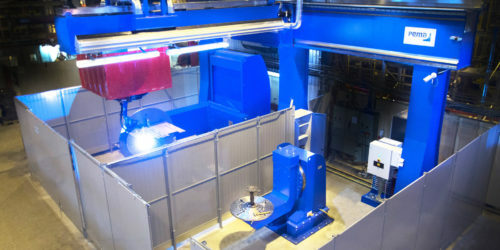 The robot station is boosted by a 50 kg payload Yaskawa Motoman MH50 and Lincoln Electric AC/DC 1000 SD, PEMA designed submerged arc torch and welding flux recycling. Additionally the PEMA solution substantially improved the working safety of workers. The young operators are especially interested in PEMA robotized welding station for the new technology, programs and the new way to weld. Dish-end and pressure vessel production and customized solution.